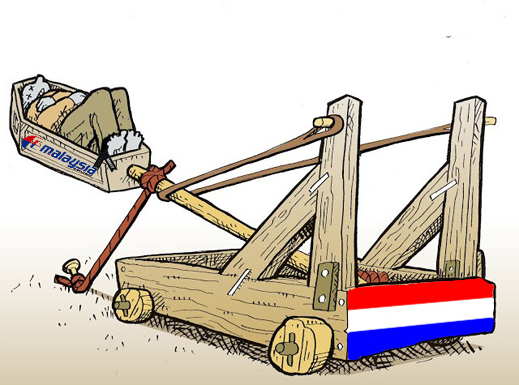 The Dutch Government has decided to launch a missile attack on Moscow in October. By suppressing all evidence obtained from the bodies of victims of the crash of Malaysian Airlines MH17, officials of the Dutch Safety Board and associated Dutch military officers, police and prosecutors are preparing to release a report on the crash with a gaping hole in its veracity. At the same time, and apparently unknown in The Netherlands, an Australian coroners’ report on the identification and forensic testing of the bodies carried out in The Netherlands reveals post-mortem evidence to show that in their public statements the Dutch government officials have been lying about metal evidence they claim to have found. This evidence has not only been buried with the passengers’ remains. It has been buried by the Dutch Government and by coroners in the UK and Australia, who are now legally required to investigate independently what caused the deaths of citizens in their jurisdiction. All are withholding the CT scans, X-rays, autopsy and other post-mortem results, including metallurgical assays, the documentation of which accompanied the coffins of the aircraft’s victims from The Netherlands to their homelands. 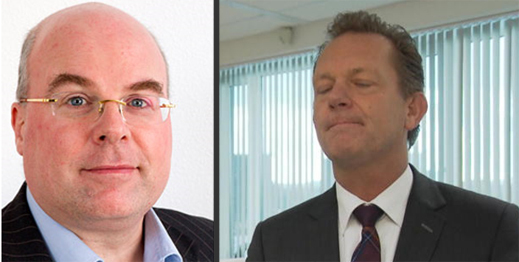 Erwin Muller (below, left), co-chairman of the Dutch Safety Board (DSB), the official aviation accident body, and Fred Westerbeke (right), a Dutch police officer heading the Joint Investigation Team (JIT), a forensics unit of the Dutch prosecution authority, have announced that on July 1 a draft “final” report on the destruction of MH17 was issued to the states participating in the investigation. There are 7 of these states, according to the DSB: The Netherlands, Malaysia, Ukraine, the Russian Federation, the United Kingdom, the United States, and Australia The JIT is a more restricted group comprising Dutch, Ukrainian, Australian, and Belgian security and intelligence officers. The Malaysians asked to join the JIT three months after its inception. The Dutch officials also claim they have been considering comments from officials of the other governments, and have scheduled October 13 for public release of the DSB document. What the DSB report means now hinges — government officials, pathologists and lawyers say — on four lookalike words with fundamentally different meanings. The “first” is onderdelen (parts) which DSB officials have been using to refer to a Buk ground-to-air rocket. The second term is “metallfragmente” and “metalen deeltjes”, which Westerbeke and his spokesman have been using interchangeably to mean metal from outside the MH17, and also from the fuselage itself. The third key word is “missile”, which Australian coronial investigators say refers, not to a Buk or any other type of explosive ordnance, but to “flying objects which strike the body”. The fourth term is “raket”, which Dutch investigators, including those engaged in the official identification of the MH17 victims, say applies to air-to-ground rockets like Buk, as well as to air-to-air, infrared and other rockets fired by aircraft. 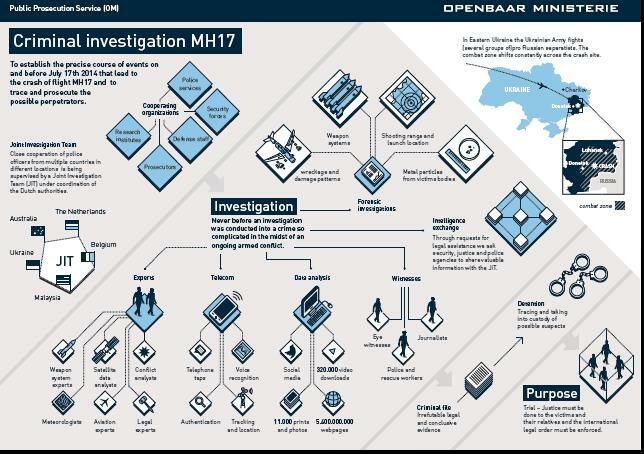 For the Dutch to make the case that MH17 was shot down by a Russian-made and Russian-deployed Buk ground-to-air missile, the metal in the corpses and body parts is the only certain evidence which has been recovered from the crash site; analysed painstakingly in the record of the Dutch investigations; and repatriated in certified dossiers Dutch and other sources say accompanied the coffins when they were flown home. This documentation is now held in files in The Netherlands and in the coronial agencies of all the countries to which remains and coffins have gone. Over the past week Dutch, British, and Australian officials all refuse to confirm they are holding this evidence. Nor will they answer questions about when, or if, they plan to commence inquests at which this evidence must be presented publicly. If the inquest evidence does not substantiate the difference in meaning of the ambiguous terms issued publicly so far – and if the inquests themselves are postponed indefinitely so the evidence is kept secret, then one conclusion is certain – there is no evidence that a Buk missile explosion struck MH17 and caused the death of those on board. identification techniques with illustrations of the records he made. Last month Maat wrote to contradict claims circulating on Ukrainian websites that an X-ray showing metal fragments originated from either an MH17 victim, or from the Dutch investigation. The fabrication can be examined here. Maat presented no X-rays at his controversial lecture, and has aired no claim that missile shrapnel was identified in victim bodies. An Australian coronial investigation, reported at a professional meeting of international coroners and pathologists in Melbourne, Australia, last November, has reported the only authenticated details of the process which the Dutch undertook after the crash. The two authors of the report are David Ranson (below, left) and Iain West (centre); the first is an associate professor of forensic pathology and deputy director of the Victorian Institute of Forensic Medicine; the second is the deputy state coroner at the Coroners Court of Victoria. This is the official agency in charge of receiving all 27 Australian victims of the MH17 crash. The Victoria state coroner, Judge Ian Gray (right), is also in charge of conducting investigations and inquests on 18 victims who were residents of Victoria, and who have been returned for burial to families in the state. Reporting “the features of the remains”, Ranson and West say that “fire damage” was pervasive: “all patterns [including]…complete incineration, partial incineration, unburned”. The injuries they identify include those which destroyed the body “variably” and “completely”. There were, they report, “massive internal injuries with little external signs” and “no haemorrhage round fractures”. According to sources involved in the MH17 investigation, this means there was no blood pressure, and the victims were dead before they hit the ground. Most importantly, the Australian experts report: “missile injuries [were] rare but present.” An Australian expert source who is familiar with the evidence covered by the Ranson-West report but who spoke on background, warns: “Don’t confuse the meaning of the word missile. It means flying objects which strike the body.” It is not known whether Ranson and West were shown X-rays or CT scans of the Australian victims. Their full report can be read here. When MH17 was downed over eastern Ukrainian territory on July 17, 2014, a total of 298 people were on board. To date, remains of 296 have been recovered and officially identified, according to Dutch reports. The nationalities of the victims, reported from airline releases, are Dutch, 193; Malaysian, 43; Australian, 27; Indonesian, 12; British, 10; German, 4; Belgian, 4; Philippino, 3; New Zealanders, 1; and Canadians, 1. The identities of the 2 unrecovered individuals have not been released. This reveals that CT scans were done of all remains, and thus a CT scan has been recorded for every victim whose body has been recovered and repatriated or transferred to the next of kin. 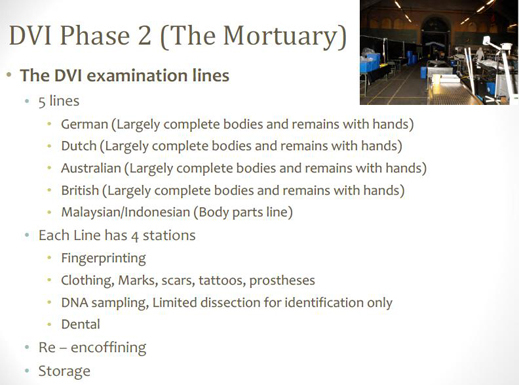 There is no reference to X-rays at this stage of the Dutch procedure; they may have been taken during the “limited forensic autopsy”. One reason for suspecting that X-rays appearing in Ukrainian media are fakes is that the Dutch procedures used CT scans instead. Ranson and West explain the steps followed for the main nationalities and the kinds of testing and evidence collected for identification. The Australian report does not reveal what evidence was gathered in the “limited forensic autopsy”. But Ranson and West reveal that “suspicious foreign objects” detected in the CT scans as “missile injuries” were “rare”. Just how rare has been admitted, inadvertently, by the Dutch prosecutor Westerbeke. Australian sources report these materials were then attached to each coffin for repatriation. All the Australian coffins were flown to Melbourne, transported to the Victorian coroner’s morgue, and re-certified. Those victims whose residence and next of kin were in other states were flown on to those destinations. In the UK, where press reporting of the alleged Buk missile attack is widespread – as it is in Australia and Canada — there is a similar blackout in the coronial system. Altogether, 10 British nationals or residents have been identified on board the aircraft. 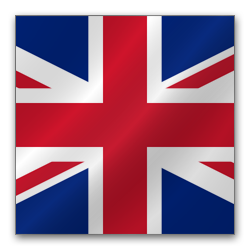 However, because some were dual nationals or resident in other countries, the UK media have reported just 4 burials in the UK. Others may have been buried in Australia, New Zealand, and South Africa. Last week Mason was asked how many MH17 victim inquests she is conducting and their individual names. What circumstances, she was asked, “have you deemed to be appropriate for suspension in these cases? Have you delegated authority for evidence gathering and forensic testing in these cases to another body, British or foreign? To whom has this delegation been made, and on what authority?” Finally, Mason was asked what post-mortem or autopsy evidence of the victims’ remains she is holdng. Mason refuses to answer. 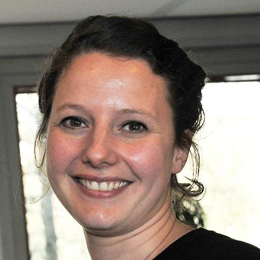 A source at her court says Mason is deferring “while inquiries are conducted abroad.” The source implies the British Government has decided to rely on the Dutch for evidence. In The Netherlands, the aviation accident body, the DSB, published its preliminary report in September 2014. For details of what evidence it identified and what conclusions it drew, read this. 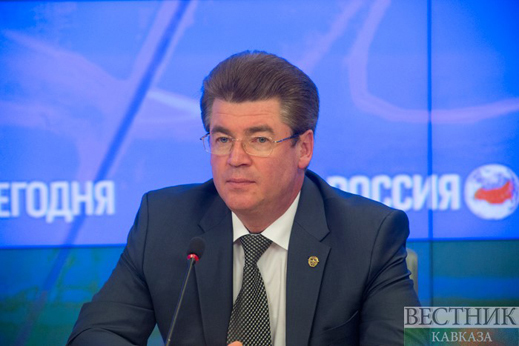 The day after the DSB release, the principal Russian official responsible for Russian participation in the Dutch investigation, Oleg Storchevoy (below), Deputy Head of the Federal Air Transport Agency (RosAviation), said the DSB had missed crucial evidence. Storchevoy was telling the DSB what it was already admitting in the preliminary report. On page 4, the report claimed it would include the “result of the pathological investigations” in “further work…to substantiate the factual information.” At page 32 the DSB repeated the promise that for “Further Investigations” it would analyse “results of pathological investigation”. Muller’s spokesman Sara Vernooij (right) replied, saying “as long as the investigation is ongoing we can’t give any information or details. The Dutch Safety Board will publish the final report on 13 October, before that we won’t issue any information concerning investigation material or sources.” But that cannot be true, she and Muller were told, since in recent days the DSB has issued news releases disclosing “information or details” on the purported discovery and investigation of Buk missile parts; and on the manner and consciousness of victims ahead of their deaths. 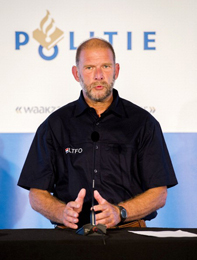 The Landelijk Team Forensische Opsporing (National Forensic Investigations Team, LTFO) in the Netherlands is a police and military organ of the Dutch Government, headed by Arie De Bruin (right). In investigating the MH17 victims’ remains, the Dutch were joined by a German officer of the Bundeskriminalamt (BKA), the Federal Criminal Police, and the equivalent AFP officer from Australia. For LTFO, spokesman Jean Fransman (right) was asked on Friday whether the LTFO procedures for the MH17 victims included an autopsy to determine cause of death and find shrapnel, bullet or other metal fragments; and to attach CT scan, X-ray and other pathological test results to the repatriated remains. Fransman claimed: “I’m not the spokesperson for the LTFO. But I will forward your questions to my colleagues.” The first point was false; the second, a deadend. When informed that he had been identified as LTFO spokesman by the DSB and on the signature line of his own email, and that he was making a record of misinformation and evasion by LTFO, Fransman stopped responding. Fransman, like his boss de Bruin, did not know that the questions they refuse to answer have already been published by the Australians. This is the only public disclosure by LTFO of what it has been doing. The remaining Dutch official to be asked the questions the Australians answered last year is Westerbeke of the Joint Investigation Team (JIT). The Dutch, Ukrainian, Australian and Belgian governments have announced that the JIT is bound by its founding agreement on August 7, 2014, to keep confidential the evidence it has been finding. Westerbeke’s record is one of leaking to the Dutch and German media, and to the BBC, details DSB claims to be withholding until next month. Westerbeke has made a record too of leaking one detail, and then contradicting it later. According to this graphic, published by Westerbeke’s men, one of the key forms of evidence in his criminal investigation is “metal particles from victims’ bodies”. On September 12, 2014, Westerbeke told a Dutch paper, De Volkskrant, that metal fragments had been found in victims’ bodies. According to this report, Westerbeke (and a police spokesman, Patricia Zorko) counted 500 samples that had been taken; this appears to be a count of what the Australians are calling the “limited forensic autopsy”. Explaining why the Australians have reported “missile injuries rare but present”, Westerbeke told the local newspaper there were 25 “metalen deeltjes” – that’s to say, “metal particles”, just as Westerbeke had put into his chart. If 25 of 500 samples had tested positive for metal, that was a rate of 5%. 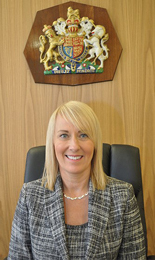 Another way of estimating the rarity of the metal found can be gauged from a report written by Ranson for Coroner Gray in Melbourne, and then circulated to the families of victims. This indicates that more than 700 body parts were identified at Hilversum. If 25 tested positive for metal, then that’s a rate of just 3.6%. That appears to be a very small incidence in a jet aircraft struck from outside the fuselage. 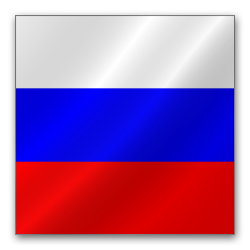 This number is also less than half the metal particles in the purported X-ray published by the Ukrainians. Westerbeke’s 25 count eliminates the Ukrainian picture as a fabrication. The Ranson-West report confirms that for timing, these pieces of evidence had been collected early in the triage process at Hilversum barracks, possibly weeks before Westerbeke leaked the details. The DSB failed to mention them in its September report. 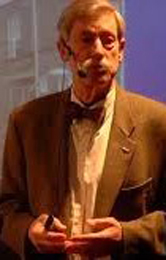 Westerbeke himself omitted to say what testing he had already done on the “metal particles” to identify the metal. Two other reporters listening to Westerbeke detected ambiguity in what he was actually claiming about the metal evidence. A DutchNews website claimed to have heard Westerbeke say the metal was found “between the wreckage [on the ground] and in some of the bodies, which could come from a missile.” A Reuters reporter claimed the metal particles had been found in passenger luggage, as well as in bodies. The location of both Westerbeke omitted to say, concealing thereby whether they were concentrated in a pattern of shrapnel, and whether the metal samples were identical in all 25 cases. A month later Westerbeke tried again, this time for German consumption. 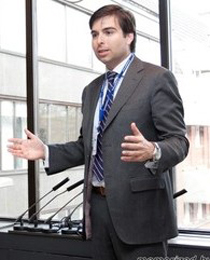 On October 27, 2014, Der Spiegel quoted Westerbeke as conceding the “Metallfragmente” could be “shrapnel from a Buk missile, possibly also parts of the aircraft itself.” Between Westerbeke’s two press leaks, the reporters had failed to notice that Westerbeke had taken 45 days not to confirm the nature of the metal he was holding. But he was conceding the original leak was losing its initial meaning. If the metal had been tested and compared against the aluminium, titanum and other alloys in the aircraft wings, walls and floor, then Westerbeke must have known whether “iron” was ruled in, or out. Nine months then elapsed before Westerbeke started leaking again. Here he is in an interview obligingly scripted in advance by the BCC, and broadcast on July 17. This time Westerbeke omitted to say anything at all about “metal”—and the BBC forgot to ask. Notwithstanding, there was no hesitation in London to headline the story: “MH17 investigator: Missile strike most credible scenario”. Westerebeke refuses to answer. This is the black hole the Dutch have created in their own investigation, but they are unable to fill it with “iron”, and they cannot explain how the alleged detonation of a Buk warhead could release so little recovered shrapnel; possibly none at all.